The availability of international schools in China is increasing rapidly, despite a system of segmentation in the international-schools market. ISC Research director Richard Gaskell explains why. The international-schools market in China is a segmented one, and severe restrictions are imposed on local children whose families wish them to attend foreign-owned schools. However, there is an increasing demand by Chinese families for Western-style education taught in the English language, and so different types of international school are emerging to cater specifically for these students.Understanding this segmentation is important for expatriate families when they are preparing for a move to China. The international-schools market in China is relatively young. The latest data from ISC Research, which tracks developments in the world’s international-schools market, identifies 566 English-medium international schools in China. Most of these are located in Tier 1 cities, with 25 per cent in Beijing and 20 per cent in Shanghai. Many others are located in the provincial capitals, such as Shenzhen, Chengdu and Guangzhou. Not all these schools are for expatriates.ISC Research’s market intelligence report for China states that the aspirations of Chinese families for an English-medium, internationally oriented education are fuelling demand. 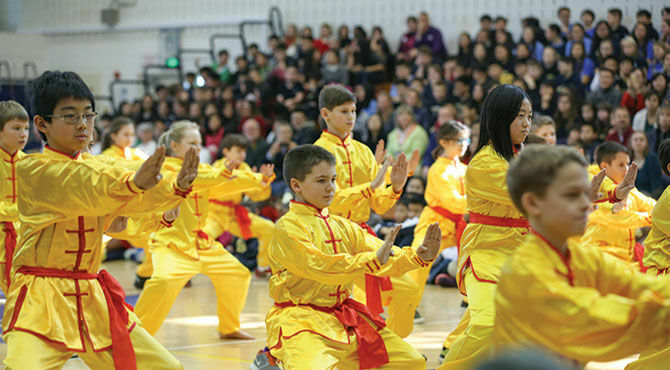 This is now driving the development of a new segment of international schools, including those that involve partnerships between a Chinese owner and a foreign school, and bilingual schools with an international focus on teaching and learning.“As China continues to grow, both in population and as a global leader, the importance of understanding Chinese culture and learning the Chinese language also continues to grow,” says an Australian parent of two children at 3e International School, in Beijing. “International schools in China are providing students with education incorporating both Western and Chinese academic and cultural understanding, to ensure students attain a well-rounded, global education.”3e is a mid-sized school that supports student and family well-being. “All our students learn both English and Chinese, with equal emphasis placed on both languages throughout school,” says principal Amy Loveday-Hu. “Class sizes are small and teacher-to-student ratios high, to allow for optimal teacher-student interaction. Education of the whole child is a vital part of the 3e philosophy.”IB World School Shanghai Community International School (SCIS) has three campuses in the city. “With over 58 nationalities represented on our campuses,” says marketing and communications manager Mun Yee Choo, “SCIS offers a truly international experience.”SCIS Hongqiao (Grade 2 to Grade 12) and SCIS Pudong (nursery to Grade 12) offer US college admissions tests the Advanced Placement, the ACT and the SAT. Both campuses provide modern facilities, such as indoor swimming pools and multipurpose gyms. SCIS Hongqiao ECE (nursery to Grade 1) has tailored its curriculum with the ‘whole child’ in mind. Facilities include outdoor play centres and a junior running track. 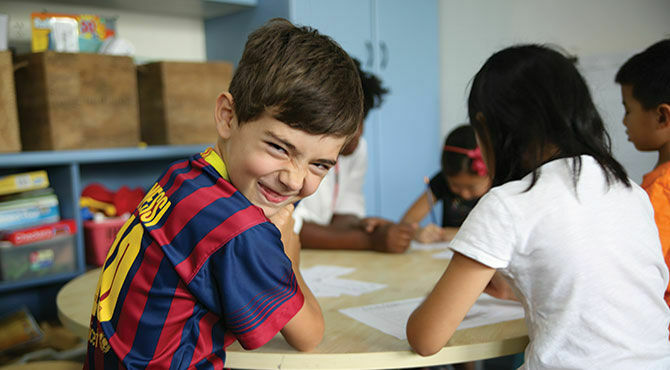 Schools for children of foreign workers (SCFW), colloquially known as ‘expat schools’, provide international education for the expatriate community and are also accessible to the children of Chinese families who have a foreign passport, and ethnic Chinese students migrating from other Asian countries. They are not allowed to enrol Chinese nationals. Sino-foreign cooperative schools are joint ventures between a Chinese owner and a foreign education company or school. These are restricted to secondary and higher education. The foreign organisation typically provides the teaching and learning, while the Chinese partner provides the land and financial investment. Both expatriate and Chinese students can attend these schools. Chinese-owned private schools are able to provide bilingual learning. An increasing number of Chinese/English bilingual private schools that have a distinctly international focus are opening. Many offer internationally recognised examinations and diplomas. These schools mostly serve Chinese students. A few Chinese-owned public/state schools are now running an international stream as an option for high-school students. In addition to the UK independent schools now established in China, many other international-school options exist for families relocating to the country’s leading centres for trade. One example is the International School of Beijing, which was established in 1980 as the first international school in the city, to offer a local education option to the children of foreign diplomats.The school, located in Beijing’s Shunyi District, has since expanded beyond embassy staff, and now offers education – including the International Baccalaureate Diploma Programme – to around 1,700 students, predominantly expatriates of 50 different nationalities. It has two sports and recreation domes spanning more than 8,500 square metres, enclosing six tennis courts and a wide range of sports and fitness facilities.The pressurised domes are equipped with air-filtration and heat-recovery systems. The International School of Beijing is not the only school to respond to the challenges of Beijing’s air pollution. Beijing City International School, Harrow International School Beijing, and the Canadian International School of Beijing have all installed air-filtration systems in classrooms. High levels of pollution in Beijing have led some companies to look to Shanghai as an alternative base. As well as its somewhat cleaner air, new incentives within its free-trade zone and a good selection of available international schools are attracting a number of multinational corporations to Shanghai.In addition to relocations from Beijing, major companies are being lured from Hong Kong, where the lack of international-school places is deterring many expatriate families from accepting assignments.According to ISC Research data, the number of international schools in Shanghai increased by 39 per cent between May 2010 and May 2014. These schools currently educate around 69,000 students.The oldest and largest international school in the city is Shanghai American School. Built on two campuses, it provides a US-oriented curriculum for more than 1,700 children and boasts the largest English-language library in China. Based on continued demand for places, the school opened an additional Pre-K (pre-kindergarten) class in September 2015. For expatriates, the latest international schools include United World College (UWC) Changshu, which opened in September 2015 in the Yangtze Delta. The school caters for 520 students and offers the International Baccalaureate Diploma Programme plus a one-year pre-IB preparatory programme. As with all UWC colleges, students are competitively selected, and many receive needs-based scholarships to represent their region or country at the school. Approximately a third of these students are Chinese nationals from different parts of the mainland. The remainder are foreign students, including those from a range of countries and those from expatriate families already based in China.Harrow International School Shanghai opened in August 2016. It is situated on the newly developed Sunland project, 30 minutes from the centre of Shanghai. The school provides learning for all years up to Year 13, and will offer both day and boarding facilities by 2018. ISC Research provides data and market intelligence for the world’s English-medium international-schools market.